My original plan for Saturday morning included having breakfast in downtown Nashville. The first restaurant that I tried had a line out the door and down the street, so I went to the second. They told me that there was an estimated forty-five minute wait. For breakfast? For one? I ultimately ended up skipping breakfast and figured that I’d grab a burger, later, at Fat Mo’s for lunch. 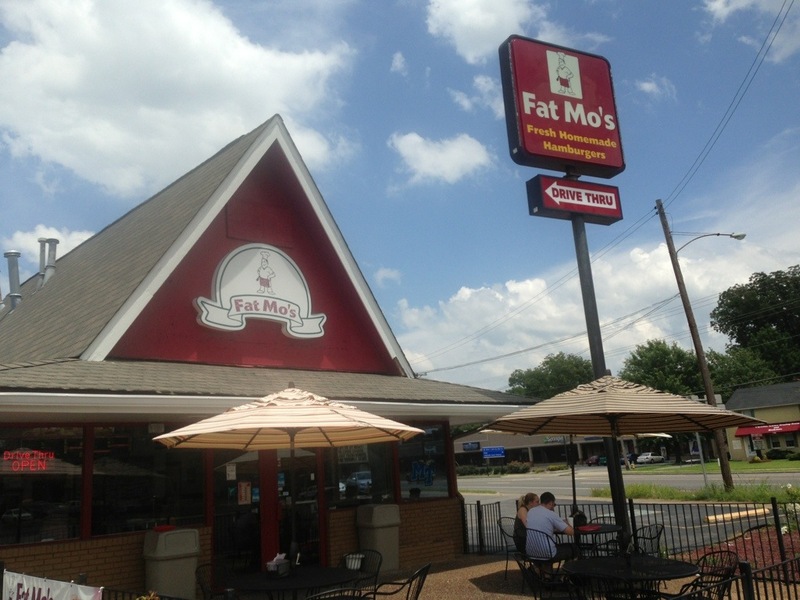 I had first read about Fat Mo’s in Hamburger America, and then saw it featured again recently on Burger Land. But when I looked up the address on the list on my phone to head over there, I had the same address listed for Fat Mo’s as I did for Rotier’s. That wouldn’t work. Even using the Hamburger America app, I couldn’t determine which was the original location, so I just picked one that was on my way home and ended up at the location in Murfreesboro. Walking in, it reminded me of a Dairy Queen from 1979, down to the shape of the building and the menu on the wall. The burgers at Fat Mo’s start at big (the 1/2 pound Fat Mo), get bigger (the full pound Fat Mo Deluxe Burger) and end up with the ludicrously large (the 27 ounce Fat Mo Super Deluxe Burger). The Polaroids on the right in the photo above are of those who have finished a Super Deluxe. This is a really big, very meaty half pound burger. And it tastes like a fast food burger should taste – like beef. The only way I can describe this burger is that it tasted like I remember a Whopper tasting when I was a kid (which is nothing like they taste today). The fries weren’t particularly good – maybe the plain fries would have been better. They had a good crunch. In fact, they appeared to double fried. They just didn’t have much taste. 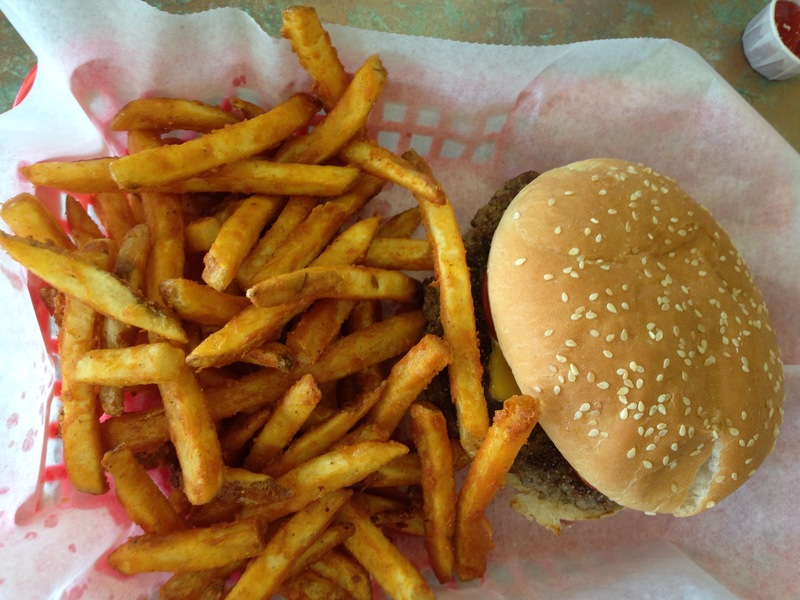 I ate none of the fries and about half of the burger, as I had another destination nearby in mind…..
Yuck. Sounds like a disappointing lunch. It wasn’t very good, but Murfreesboro improved with second lunch. See part 5 later today.